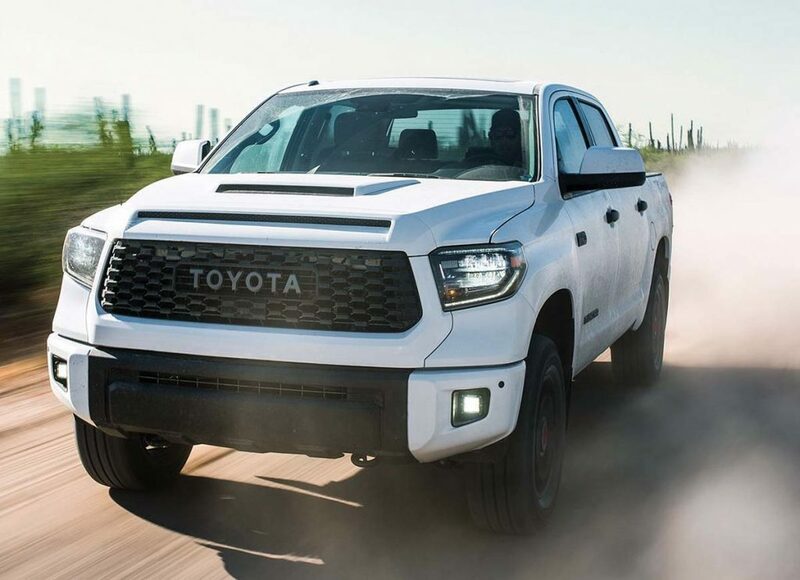 The trend to creating extreme off-road-capable full-size pickups continues to grow and Toyota is right in the thick of the action with the 2019 Tundra TRD Pro. The automaker has installed the same kind of Fox-brand shock absorbers that Ford uses for the F-150-based Raptor off-roader (also the springs that give the TRD Pro an extra two inches of lift). Other specialized content includes a big hood scoop, less restrictive exhaust system, skid plates and Michelin all-terrain rubber mounted on lightweight wheels. The TRD Pro gets the same 381-horspower 5.7-liter V-8 (69 fewer horses than the Raptor’s turbocharged V-6) as regular Tundra models. Pricing starts at $51,300, which is only slightly less than the Raptor’s (2018) MSRP.